This possibility must be investigated in detail because in future satellite RO missions measurements of absorption effects due to water vapor and minor atmospheric gas constituents are planning and difficulties will consist of removing the refraction attenuation effect from amplitude data. Equations (18) indicate the feasible way to solve this problem. Also Eqs. (18) may be useful for estimation the conditions for communication in the Ku/K bands between two LEO satellites in a radio occultation geometry (Martini et al. 2006). where kv is the vertical wave number of the vertical quasi-periodical structure in the atmosphere (ionosphere), d1, d2 are the distances along the ray GTL from the points L and G up to the ray perigee T, respectively, R0 is the distance GL. Equation (22) connects the high-frequency part of phase path excess variations $ f (t) with refraction attenuation changes X(t) - 1 of the RO signal. Note that the coefficient c0 in Eq. (22) does not depend on the vertical velocity of the ray perigee. Equations (22) allow one to recalculate refraction attenuation variations of GPS radio-holograms to phase path excess variations and vice versa. The form of phase path excess variations $ f (t) is similar to the form of intensity variations X(t) — 1. It follows from Eqs. (22) that variations of the intensity of the RO signal are proportional to phase path excess oscillations and inversely proportional to the second power of the vertical spatial period of the layered structure. One can estimate from Eqs. (22) the value of parameter c0 by comparison of amplitude and phase variations of the RO signal. where (t)) denotes the trend in the phase data. An alternative approach to find (t)) consists in averaging of the phase path excess over a sliding interval; the size of the sliding averaging interval must be long enough to account for the long-scale influence of the atmosphere or upper ionosphere. Equations (15) and (25) may be applied for the location of the tangent point T (or locally spherical symmetric layers) in the propagation medium. analysis of data shown in Fig. 2, Eqs. (15) and (16) are valid and they may allow one to locate the layered structures in the atmosphere and ionosphere, which are responsible for the variations of the intensity and phase acceleration of radio waves in the satellite-to-satellite links. An example of the determination of the displacement D = d2s — d2 is shown in Fig. 3 for the FORMOSAT-3/COSMIC RO event 0006, April 23, 2006, 15 h 54 m 28 s LT, with geographical coordinates 9.5°S, 288.9°W. Curves 1 and 2 in Fig. 3, left panel, demonstrate good correspondence between the refraction attenuation Xp estimated from the phase acceleration a and parameter m by use of formula 1 — Xp = ma, and Xa evaluated from amplitude data, respectively, at the first GPS frequency f1. in the 25-40 km height interval. It follows that the phase acceleration has the same importance for RO experiments as the well-known Doppler frequency. The amplitude channel of the radio-hologram can be used to obtain information on the vertical distribution of refractivity, temperature, and their vertical gradient (Pavelyev et al. 2002, 2003; Liou et al. 2002, 2003, 2006). Amplitude variations of the RO signal depend mainly on the high-frequency part of the derivative of the refraction angle on the impact parameter df (p)/dp. For obtaining the corresponding variations in the vertical gradient of refractivity dN(h)/dh the low frequency part in the function df (p)/dp corresponding to the low frequency noise in the amplitude data has been excluded by numerical filtration. The remaining high-frequency part of dfh(p)/dp was transformed by use of the Abel transformation technique (Liou et al. 2002), to find perturbations in the vertical gradient of refractivity dNh(h)/dh. This procedure does not need an optimization technique because (1) absence of the low frequency noise in the function dfh(p)/dp and (2) high sensitivity of the amplitude to high-frequency variations in the vertical gradient of refractivity (variations of the intensity of the RO signal are inversely proportional to the second power of the vertical spatial period of the layered structure). January 23, 2003 (curves 1 and 2, respectively). The wave structure is clearly seen in the perturbations of the vertical refractivity gradient in the 10-45 km interval (curves 1 and 2, left and right panels in Fig. 4). The vertical period of the wave structure grew from 0.8-1.0 km in the 10-25 km interval and from 2-4 km in the 30-40 km interval. Abrupt changes in the amplitude and phase of the refractivity perturbations are seen between the altitudes 38 km and 40 km (curves 1 and 2, right panel) and 45-50 km (curve 1, right panel). These changes may be connected with wave-breaking altitudes where the wave energy dissipates to eddies and turbulence. Previously the wave breaking effect has been observed from space during CRISTA experiments (Eckermann and Preusse 1999) at altitudes between 30 km and 40 km. There are indications for GW breaking at altitudes of about 50-60 km (Ern et al. 2006). Note that phenomena of wave breaking shown in Fig. 4 are the first direct observations by use of the GPS RO method. 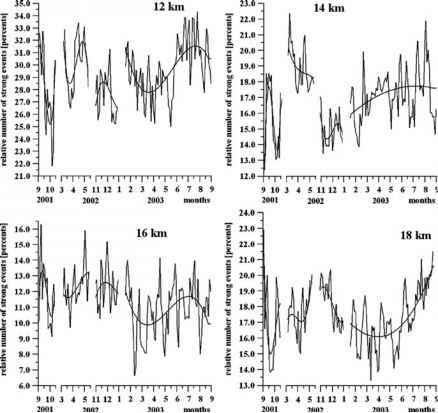 changes in the intensity of meteorological processes, types of atmospheric circulations, and, very likely, with reduction in solar activity in the considered period of time. In that respect internal wave activity may be considered among the other important parameters described in various publications (e.g., Suh and Lim 2006, and references therein), which characterize effects of solar activity on the Earth's atmosphere. possibility to separate the layered structure and turbulence contributions to the RO signal; (2) a possibility to estimate the absorption in the atmosphere by dividing refraction attenuations found from amplitude and phase data; (3) a possibility to locate the tangent point in the atmosphere with accuracy in the distance from the standard position of about ±100 km. The suggested method has a general importance (for example, it may be applied for analysis of amplitude and phase variations in the trans-ionospheric satellite-to-Earth links). We showed also that amplitude variations of GPS occultation signals are very sensitive sensors to internal waves in the atmosphere. The sensitivity of the amplitude method is inversely proportional to the square of the vertical period of the internal wave, indicating high sensitivity of amplitude data to wave structures with small vertical periods in the 0.8-4 km interval. By use of the amplitude data analysis the internal wave breaking phenomenon has been observed at the first time in RO practice at altitudes between 38 km and 45 km. The amplitude GPS occultation method presents a possibility to obtain the geographical distribution and seasonal dependence of atmospheric wave activity with global coverage. 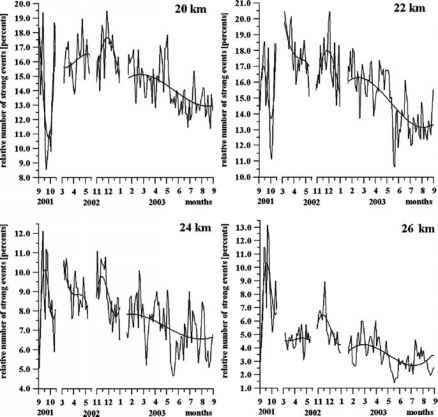 At the altitudes 12 km, 16 km, and 20-26 km the wave activity is gradually diminishing by 10-40% from September 2001 to September 2003. This diminishing may be connected with changes in the intensity of meteorological processes, types of atmospheric circulations, and, very likely, with reduction in solar activity. Acknowledgements We are grateful to the GeoForschungZentrum Potsdam for delivering the CHAMP RO data and to UCAR/CDAAC (Boulder, CO, USA) for the provision of FORMOSAT-3/ COSMIC data. We are grateful to the National Science Council of Taiwan, R.O.C., for financial support under the grants NSC 92-2811-M008-001, NSC 91-2111-M008-029, and the Office of Naval Research (ONR) of USA under grant N00014-00-0528. Work has been partly supported by the Russian Fund of Basic Research, grant No. 06-02-17071. In addition, assistance was provided by the Russian Academy of Sciences, program OFN-16 and OFN-17. Martini E, Freni A, Facheris L, Cuccoli F (2006) Impact of tropospheiic scintillation in the Ku/K bands on the communications between two LEO satellites in a radio occultation geometry. 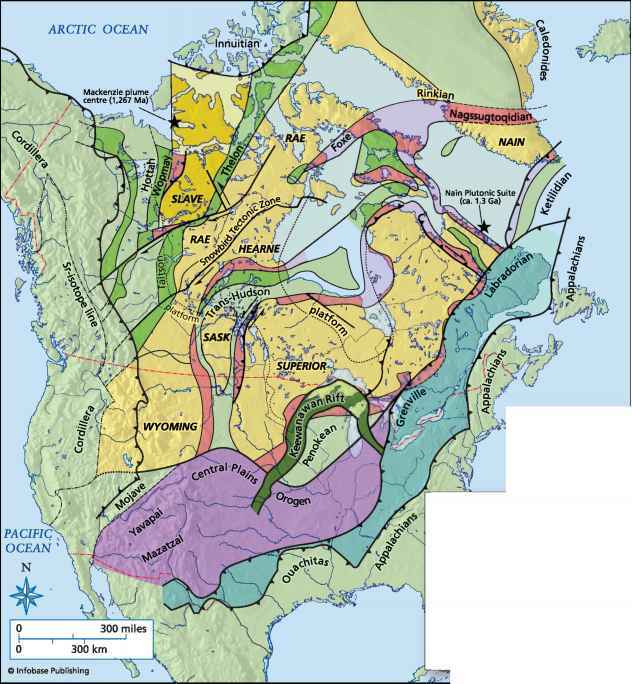 IEEE Trans Geosci Remote Sens 44(8):2063-2071 Pavelyev A, Igarashi K, Reigber C, Hocke K, Wickert J, Beyerle G, Matyugov S, Kucherjavenkov A, Pavelyev D, Yakovlev O (2002) First application of radioholographic method to wave observations in the upper atmosphere. Radio Sci 37(3):1034, doi:10.1029/2000RS002501 Pavelyev AG, Tsuda T, Igarashi K, Liou YA, Hocke K (2003) Wave structures in the electron density profile in the ionospheric D- and E-layers observed by radio holography analysis of the GPS/MET radio occultation data. J Atmos Solar Terr Phys 65(1):59-70 Pavelyev AG, Liou YA, Wickert J (2004) Diffractive vector and scalar integrals for bistatic radio holographic remote sensing. Radio Sci 39(RS4011), doi:10.1029/2003RS002935 Steiner AK, Kirchengast G (2000) Gravity wave spectra from GPS/MET occultation observations.